Although I'm writing this late at night -- at least, late in the USA -- the third round of the Omega Dubai Ladies Masters has barely started. As a result, I'm using the second round results for this post. But it's the final LET event of 2015 and it's turning out to be an interesting one. At the midway point, defending champion Shanshan Feng is leading at -10. Laura Davies is two strokes back while Pornanong Phatlum and Caroline Hedwall are tied at five back. For obvious reasons, I pull for Laura Davies when she gets in contention. At 52 years old she can still whack it out there with the young kids; it's just a matter of whether that streaky putter of hers is working or not. And this week it IS working. She has posted two 68s thus far (Shanshan has two 67s) and seems very relaxed on the course. If her putter keeps working, things could get tight on Sunday. The Majlis Course at the Emirates Golf Club is where the ET plays its Omega Dubai Desert Classic (in February), so this is a challenging course. And this is one of the few LET events that we here in the US get to see all four rounds, so it's special for that reason as well. Feng and Phatlum have won this event the last three years -- Feng in 2012 and 2014, Phatlum in 2013 -- so Laura (or anyone else for that matter) will have their hands full trying to win this event. 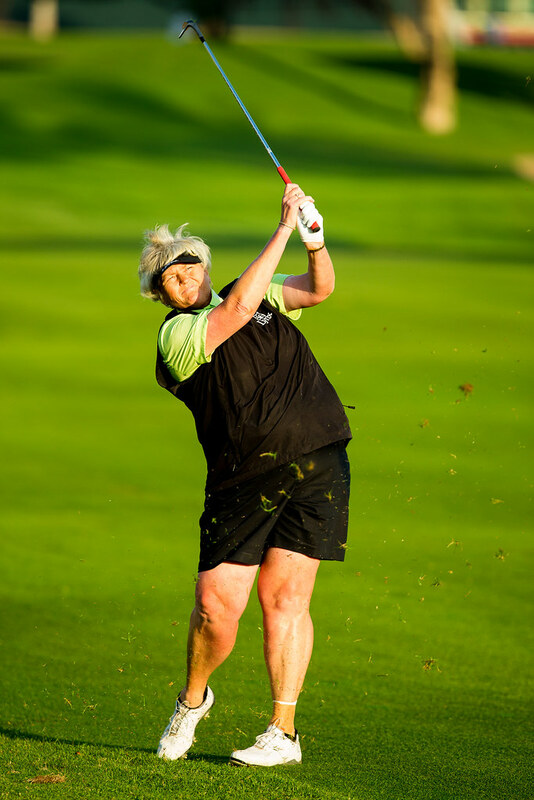 But if she keeps things going during the third round, Laura Davies could find herself with a chance to make some history.